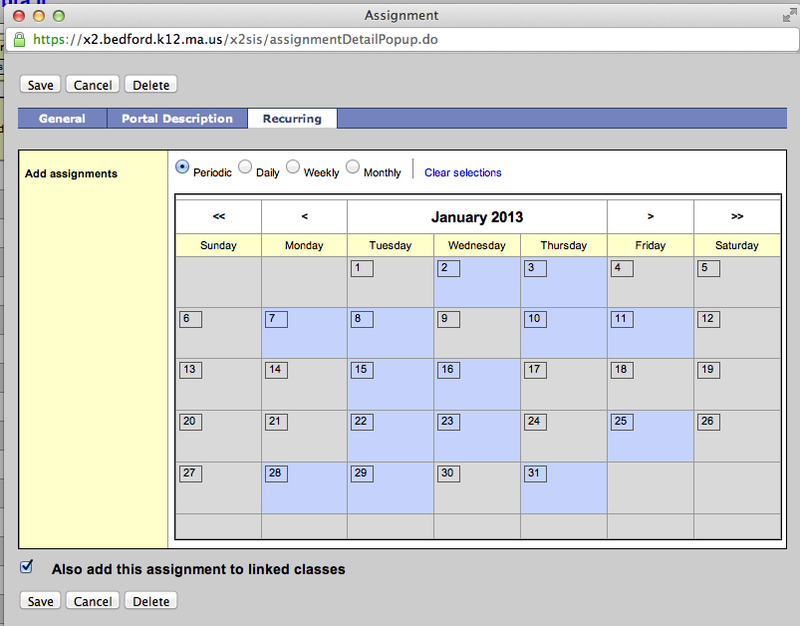 Did you know that X2 ASPEN (SIS) can allow you to have "recurring" grades such as class participation? My students earn a daily 5 point grade and I can set up the assignments now and have less daily hassle later. Here is the class participation rubric I got from two fellowveteran teachers. I made slight changes, but the idea is the same. Thank you for sharing with me. The active learner part, I think, is the most difficult, even for me. At my graduate class we put into our Classroom Expectations that we would not be off task with our iPads, iPhones, etc. Let's work on this together!